Everyone has favorite recipes from their childhood and these no bake chocolate boil squares are one of the recipes my mom made a lot. 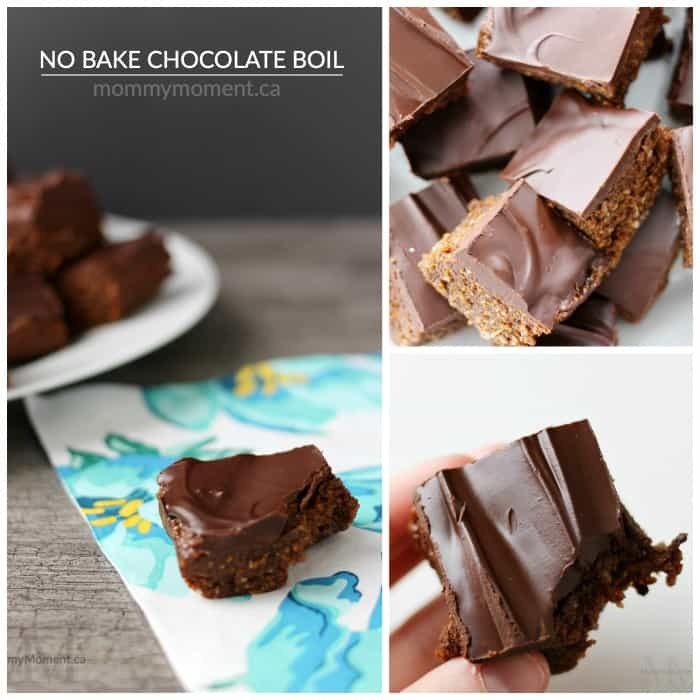 Because this no bake chocolate boil recipe is a trusted favorite, I figured I would do something extra special and create my very first recipe video – so be sure to scroll to the bottom of this post, I hope you enjoy it. Of course, I also included the printable recipe. 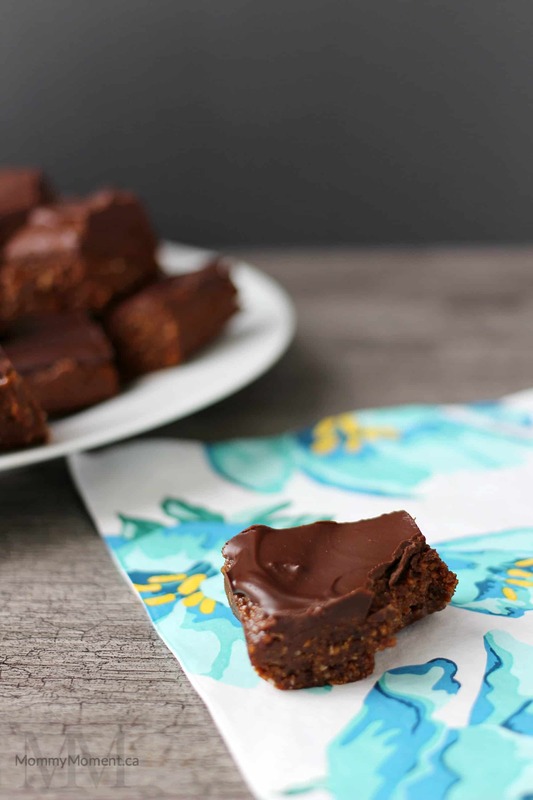 These no bake chocolate boil squares are a family favorite that I grew up with. Quick and easy to make and absolutely delicious. In a saucepan mix together the first 5 ingredients (butter, cocoa, milk, brown sugar and the beaten eggs). Remove saucepan from element and add graham crumbs, coconut and salt. Melt 1 cup of chocolate chips with 2 tbsp butter – I choose to microwave, stirring every 30 seconds. 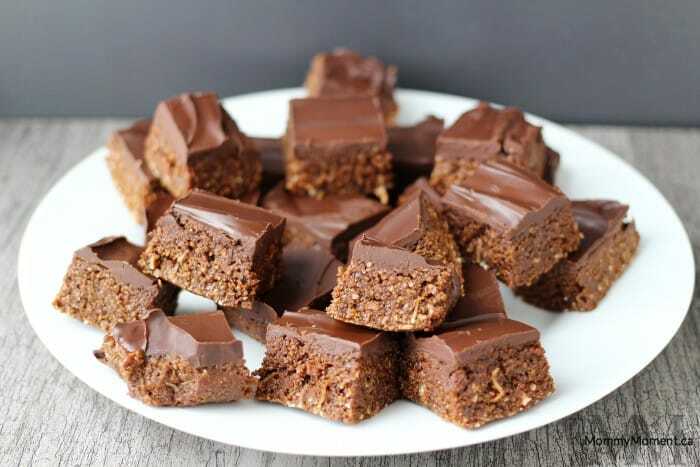 Spread the melted chocolate over the squares. Refrigerate for 3 hours or freeze for 45 minutes. Keep leftovers in a sealed container in the fridge. 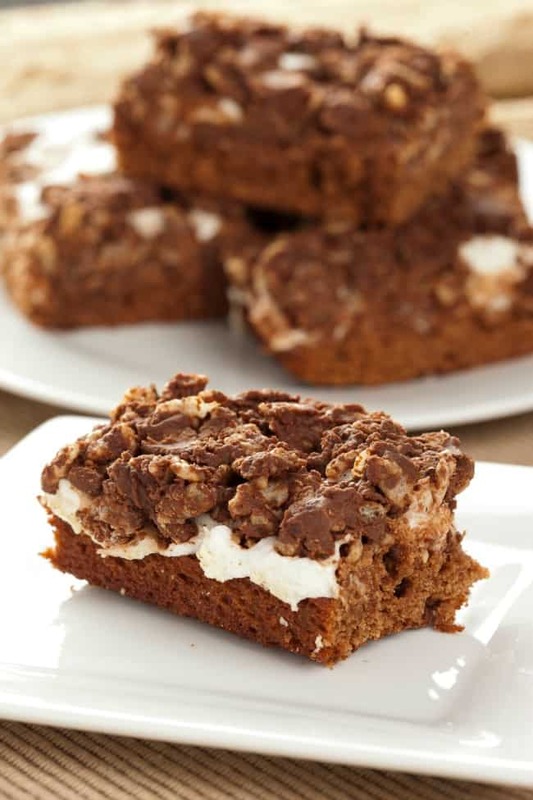 You may also like these BETTER BROWNIES. 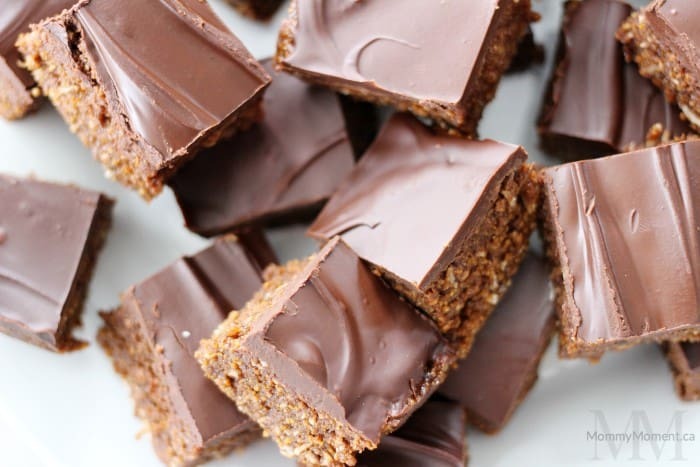 I love the look of your no bake chocolate square but I don’t know what Graham crumbs are ? Do you have a New Zealand equivalent to that product please ? Yes I want to know too where to buy graham crumbs & why r they so special ? Does it matter what kind of chocolate chips are used – milk chocolate, semi-sweet, etc., or is that just up to the individual making the dessert? I have used both – I normally use semi-sweet. They are crushed up graham crackers. Can that ingredient be omitted? I have never tried, but I think it would work. Let me know how it turns out!